The Liberal government’s effort to rewrite the rules for approving major national resource projects in Canada is facing an increasingly tough battle as opposition to the changes strengthens on two distinct fronts. 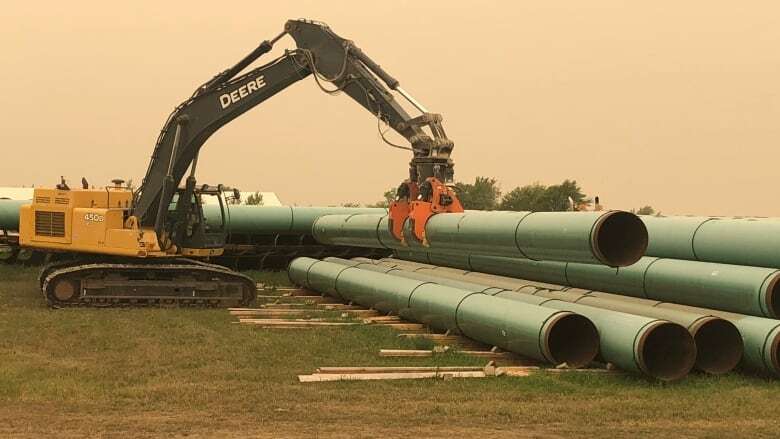 The Liberal government's effort to rewrite the rules for approving major national resource projects in Canada is facing an increasingly tough battle as opposition to the changes strengthens on two distinct fronts. Last week, when Canada's energy and mines ministers met in Nunavut at the Energy and Mines Ministers' Conference, two provinces — Saskatchewan and Ontario — refused to sign the joint communique. That consensus document called for, among other things, federal and provincial governments to "ensure an effective regulatory review process that enhances economic competitiveness and maintains a sustainable environment." Ontario and Saskatchewan decided instead to release their own statement criticizing Bill C-69, which scraps the National Energy Board and creates the Impact Assessment Agency of Canada. "The changes in the new Impact Assessment Act would result in a more complex, costly and time-consuming process, while creating uncertainty that could ultimately erode Canada's economic competitiveness," the statement said. And while the passage of legislation in Ottawa does not require a sign-off from the premiers, getting things done in Canada frequently does — and it gets harder when key players in the federation want to colour outside of the lines, said Jared Wesley, a professor of political science at the University of Alberta. "The principle of consensus is really what binds Canadian intergovernmental relations together," says Wesley. "Why would any premier go to the table at all if we all know beforehand that Ontario and Saskatchewan will step outside the doors and say something different? "What is the point of inviting them or meeting together at all?" One institution that does care what the regions have to say is the Senate. It was created for that very purpose, and voices in the Red Chamber are already beginning to gird for battle over a bill that some say could cripple the Canadian economy. Bill C-69 is now at second reading in the Senate, which means senators will soon vote to either scrap the bill — which is unlikely — or send it to committee to be studied and amended. Independent Sen. Doug Black of Alberta said he has major concerns with C-69. He said he believes it broadens the scope of the approval process so far that it would allow those opposed to projects to delay them indefinitely. "I will oppose this legislation at every stage because it's wrong for Canada, it is the wrong thing to be doing," he told CBC. Sen. Black said that a few years ago — when the economy was not under assault by our neighbours to the south through tax changes and tariffs — the changes in C-69 could have been made to work, but not today. "There was a sense we need to improve the system to have broader support [for natural resource projects] but in doing so, in throwing out the bathwater, the baby is long gone," he said. "This legislation is completely overboard and will damage the Canadian economy for decades." Sen. Black told CBC that not only will the new process slow approvals down, but the way the bill has been written gives too much power to ministers to approve or deny a project — leaving industry asking if it's worth investing in Canada at all. Those concerns appear to be shared by more people in the Senate than Black. A Conservative official in the Senate, who asked not to be named, told CBC News that there are fears the new regime will exponentially expand the bureaucracy required to get a project approved. The official said the new regulations and process might dramatically slow down projects and undermine the economy just as Canada is facing a competitiveness challenge with the U.S. The Conservative caucus in the Senate is without a critic for the energy or environment portfolios as Sen. Richard Neufeld, who was managing those files, takes a step back from his role to deal with a health issue. As such, the caucus has not fully crafted its response except to say that it has major concerns and the Liberals should expect a battle over the bill when Parliament returns this fall. A spokesman for Amarjeet Sohi, minister of Natural Resources, said C-69 is an important part of the federal government's stated goal of managing the economy and the environment together and it has no intention of backing away. "Unfortunately, it has become all too clear that Conservative politicians – right across the country – have no plan at all, and have no interest in creating one," said Alexandre Deslongchamps.